Do you ever get off track? Do you sometimes do what you think you should do rather than following your instincts? Earlier this year I was commissioned to run a bespoke development programme. This was a big project and I was pretty excited. It would combine sessions on leadership, management, marketing, and creative thinking. The content was a great mix of my skills and knowledge base–what could go wrong? 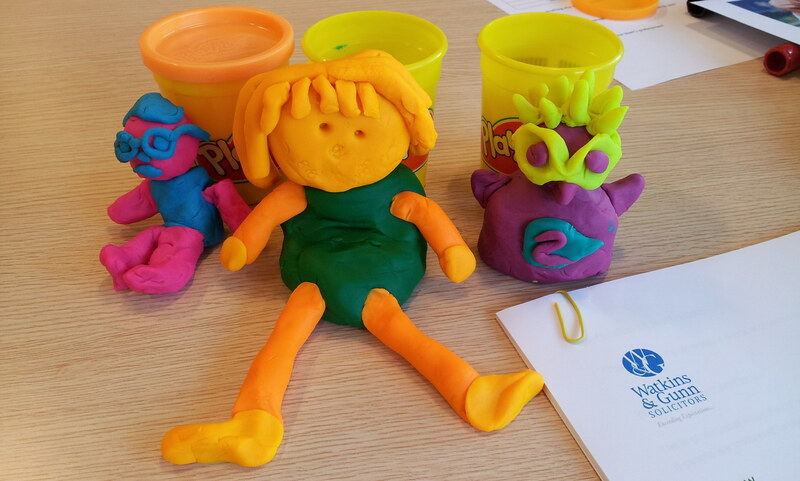 In case you don’t know me, play-doh has become a bit of a trademark tool for me. I use it to help people think differently, to rekindle some of that gorgeously innocent childhood sense of creativity and imagination. The comment :”Where’s the play-doh Prith?” was really asking– Where were you in all of that content? Where was the creativity? As I realised this, indeed as I write it now, my heart sank. I was trying so hard to deliver a ‘good’ management workshop I had succumbed to convention and lost my essence. Regardless of what I was teaching- it should have been inspiring, fun and creative- because that’s what I/my work is about. Everything happens for a reason. The huge lesson I learned that day? Be you! People don’t buy what you’re selling- they buy you and the way you do things. You might also want to add ‘why’ you do what you do- Simon Sinek. It’s so important to recognise and value ‘your essence’- your USP if you like. My question for you: Do you know why people do business with you? Why do they pick you over everyone else? If not, take some time out and get clear on it. Don’t be afraid to ask people. Once you’re clear- draw a picture of it, write it on a post-it note, do whatever you have to do – then put it somewhere prominent. Use it as your compass, your guide and add a huge splash in to everything you do. How does the story continue you might be wondering? I wanted to turn this around so the next session was going to have major creative input from me! I was going to do it my way. As well as having great content I wanted people to leave the session feeling good, energized, excited and motivated – these were my new training objectives. It also, somehow, had to include play-doh! 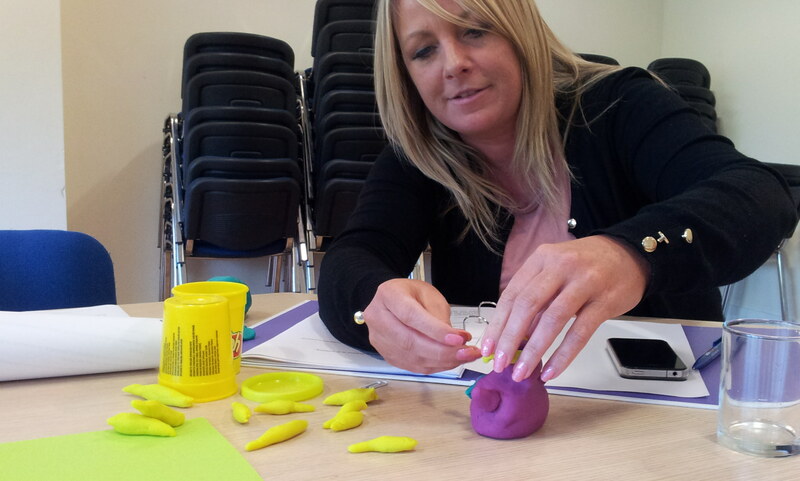 As you can see not only was play-doh woven into the session- we also had music and dancing! (Yes we’re still talking management). We started and ended the session with Pharrell William’s ‘Happy’. Did anyone get up and dance with me at 9.30 in the morning? Of course they did- the senior managers no less! I felt good- they felt good- my world was now much better- happy in fact! The waters were flowing. I made a silent promise to myself- not to fall into the trap of convention again. P.S. Sometimes it’s hard to share moments of non-brilliance- but then that’s all part of the journey….and the learning can take us to new places. This entry was tagged creativity, management, play-doh, training. Bookmark the permalink.